Sitting a low bowl between the peaks of the Langdale Valley is Three Tarns. On the right day the eponymous tarns catch the sunlight and glitter. On the wrong day it’s a place of sudden masking mist, contrary pathways and a confusing map error. I like the place, but I’ve not been there for years. Three Tarns is in the English Lake District, or The Lakes, where there is only one lake, but there are many tarns, quite a few meres and even a water or two. 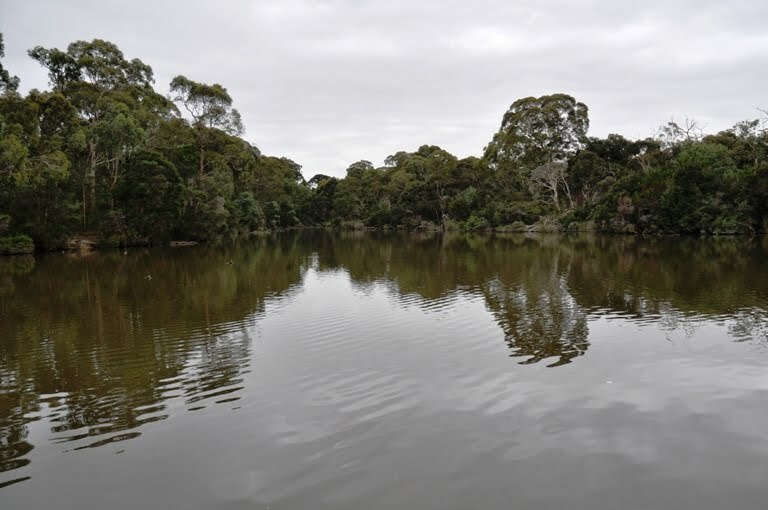 Here in Victoria we have The Lakes – out in Gippsland – where the highland rivers empty into a series of marshes and lagoons. Trapped by driven sand they form a long barrier between the sea and the land. Confusingly, the lakes flow into the sea at Lakes Entrance, which would have been called Lakes Exit if we had kept the lake in mind, rather than the boats that use it. This mix and match approach to naming waters seems a worldwide phenomenon, with names meaning one thing here and another thing elsewhere. In the North of England – where this tale began – the water that tumbles down the hills from a tarn may be called a beck. There are becks all over the place. Langdale has a great one. Here in Australia – where the tale will soon continue – Becks is a beer of such unique dullness that it has little in common with the bright and interesting fluid that bubbles through the English landscape. In fact, I’ve drunk from becks which taste much better than Becks, and never been drunk on either. Creeks and streams; dams and ponds; the temporary and the old; the large and small. Water, water everywhere, sometimes open, sometimes closed, sometimes for us, so we have a drop to drink and sometimes not for us at all. There are three waters of some sort near where I live – a lake, a dive and an anonymous patch of water trapped by the solid engineering of a freeway. While the names (or non-names) of the first and third are unsurprising, the second may be unique. ‘Lake’ seems like the default position – but it can still cause confusion. I used to work at a place called ‘Lakeside’ that was not really on the side of a lake at all, but at the southern end of a “mere”. But calling a place ‘Mereend’ seems unlikely. This kind of confusion of names is hardly new, it’s been with me all my life. As a kid I spent hour upon hour fishing – early summer tench, autumn roach, winter pike and year round perch - at a place called Lechmere Water. That’s a bet each way. And to establish the trifecta, we only ever called it Embrough Pond. Blackburn Lake is the largest of my local waters. It’s a ten minute drive away, less on a Sunday morning, more in peak hour traffic. As far as I am aware it is not fed by a burn, black or otherwise, but it does seem to be a lake. It’s the closest thing I have to a local path; a place I know just about well enough to see if anything changes. It was formed in the 1800’s when Gardiners Creeks was dammed, it helped inflate property values in the area and provided water for a market garden growing blubs. Now it is surrounded by what passes for natural vegetation, give or take a few surviving bulbs. Its waters are brown and uninviting, stirred by carp and fed by the runoff from roads and pavements. But still it buzzes with life. Blue Skimmers – dragonflies that are blue and skim – are frequent at the water’s edge. I like their rapid movement, their splendid, fierce eyes and their seemingly unchanged shape. Dragonflies have watched for sudden movements over water through the many long ages of the world, a natural selection for waters of any size, shape or form. The Blue Skimmer also shows that it’s possible to name things in ways that make sense. Despite the presence of the carp in the water fishing is not allowed. However this does not stop people wetting a line, often within easy casting distance of the signs that say “no fishing”. 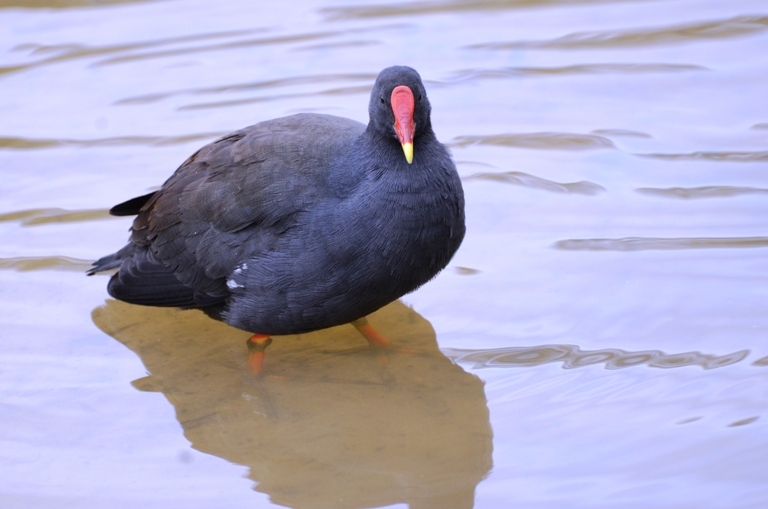 The same goes for feeding the ducks – a probation that is both understandable and small minded. 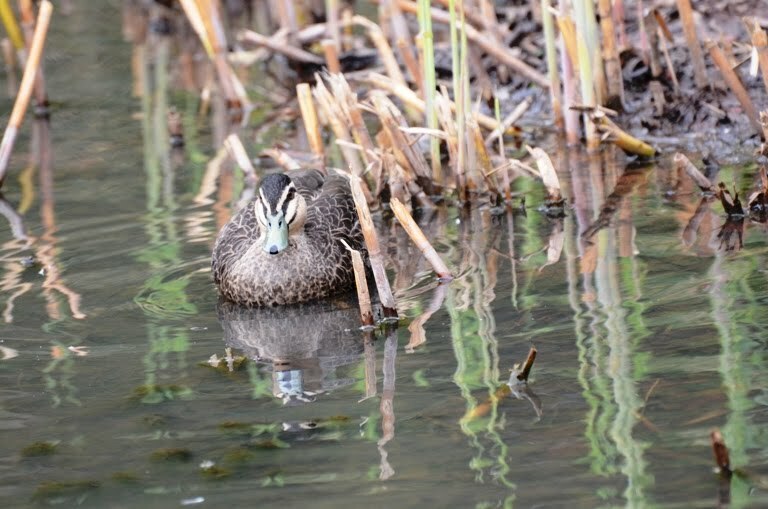 Most of the ducks on the lake are of mixed heritage, owing as much to the farmyard as the wilderness. Such bans make law breakers of us all. A scattering of bricks is visible on the lake floor from Duck Point and the same can be said of Heron Point. This is a place that wears its origins proudly on its rather discoloured sleeve. At Billabong Bridge – a bridge which rather predictably does not cross a billabong – a tree has slumped across the water. The twin stimuli of light and gravity cause the branches to grow upwards, as straight as prison bars, from the trunk of the fallen tree. Rail and herons can sometimes be seen here, but more often than not it’s just the tree with its upright branches. The splendidly and informatively named Yellow Tailed Black Cockatoos can be found at this end of the lake in the cool and colder months of year. Surprisingly large for a bird found in the suburbs, they wail and call to each other as they search for food. A little further on the path splits – one leg taking you to the play ground, where over-protective parents teach their kids to be scared of the outdoors, while the other edges along the side of the lake. A few tempting side paths lead down to the water, and I inevitably wander along them. 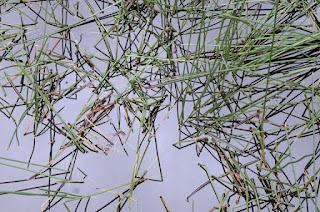 The water’s edge itself is shallow and bull rushes push through. 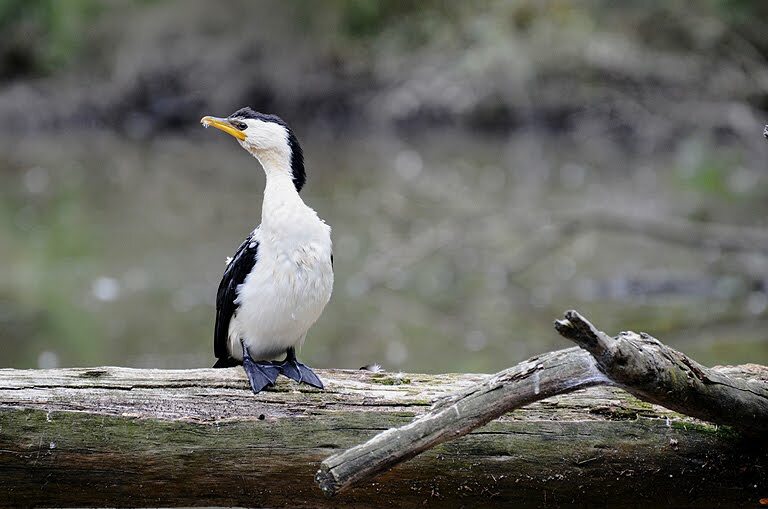 Fallen branches are occupied by cormorants and sometimes a white-faced heron will stalk on long yellow-green legs. Wherever you stop ducks gather, hoping you will be a rule breaker. The path carries on, past a perfect looking fishing platform which the coots seem to like and anglers are banned from, until it rejoins the path to the car park. Here you turn right, away from Friends Bridge, where you can play Pooh Sticks after heavy rain, and head back to the car. The Dive is far more attractive than it sounds. ‘Dive’ seems to suggest something rather seedy and run down. I used to have an occasional pint in a pub called The Beehive – but due to its rather unkempt nature we would swap the ‘h’ for a ‘d’ – it seemed appropriate at the time. The Dive looks deep – and undoubtedly is the best candidate for the “it’s bottomless” myth that seems to follow at least one lake in every area. It’s an old quarry, vaguely circular in shape and behind a mesh fence is an old industrial plant that rattles and creaks in the wind. 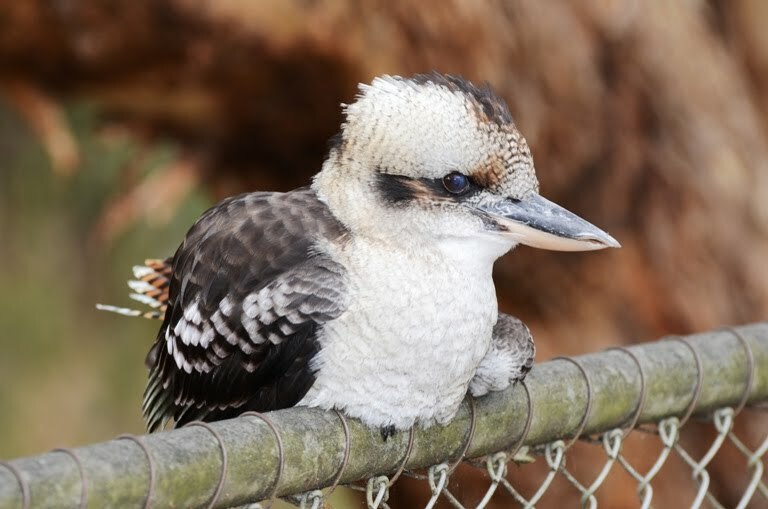 The Dive has an island – that most important of features – topped with a few gum trees. 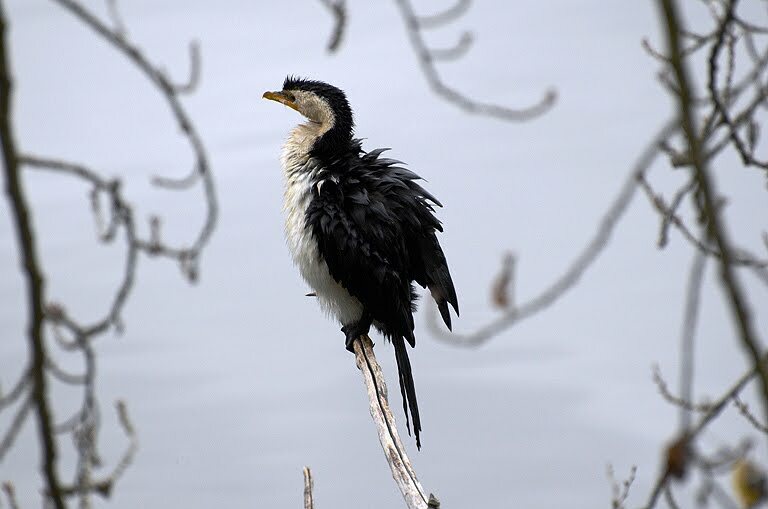 Cormorants sit with outstretched wings and wait for their feathers to dry. 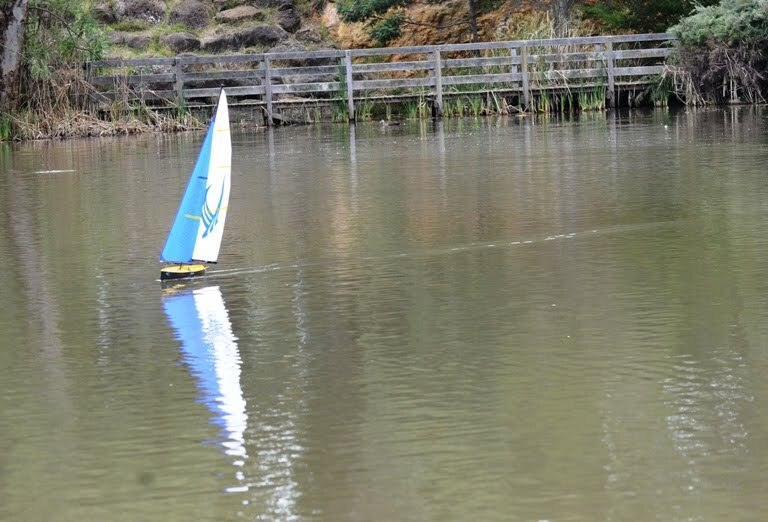 On most Sundays people sail (if that’s the word) radio controlled boats around a course marked by floating buoys. In the past this was the local swimming pool – hence its name – and today you can still hear the calls and laughter from the new pool just up the hill. 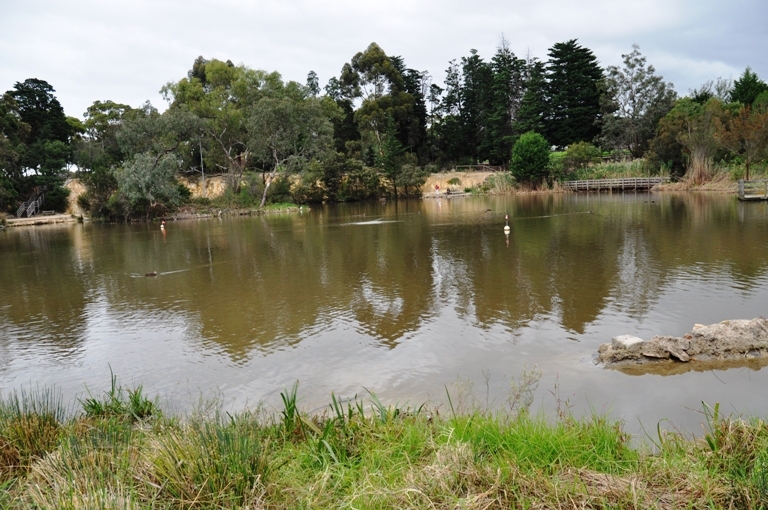 All the activity pushes the birds out from the centre of the water to the weedy edges. Patches of bulrushes and tall plants form green corridors. Fairy Wrens flick across the paths, Thornbills, tiny and brown, follow, and seed heads shake from unseen feeding. 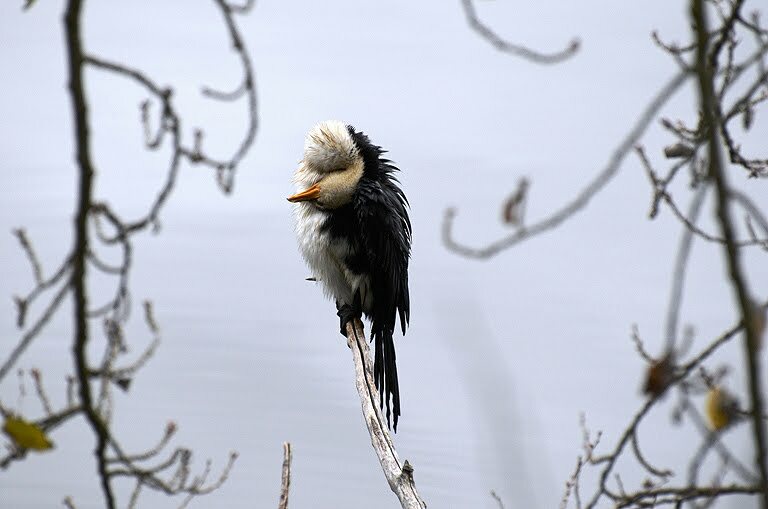 On some days the world seems full of birds – on others it’s empty of movement and sound, with all the life sucked down into the depths of the water. The wind may ruffle the surface but that’s all. The Dive is a boom and bust kind of place, feast and famine. Maybe I just don’t know it well enough yet to understand where things go on the days when I can’t find them. 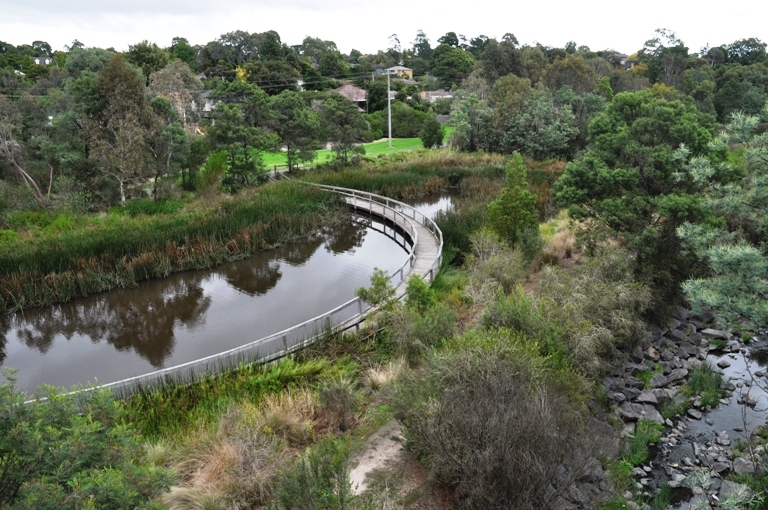 The unnamed wetland is perhaps the least attractive, the most overtly urban, of the three waters. Even in the half light of the morning you can hear the rumble of engines from the freeway. The deep base of trucks, the high insect buzz of motorbikes and the middle ground of car after car after car. The water is edged with a frappe of shattered polystyrene cups and food trays, smashed as they bounce down the stormwater drains into the standing water. It is also the most constrained of the waters – there being very few ways the explore other than to follow the board walk. But for all this, it’s also the place you are most likely to have to yourself. Most people just pass over on the foot bridge, or shoot past on the bike track. The information boards have faded to orange in the hot sun, but they remain free from graffiti. This probably says a great deal about the popularity of the place. The whole area is dominated by tall reed beds – and even I can notice that there is less open water than in the past. 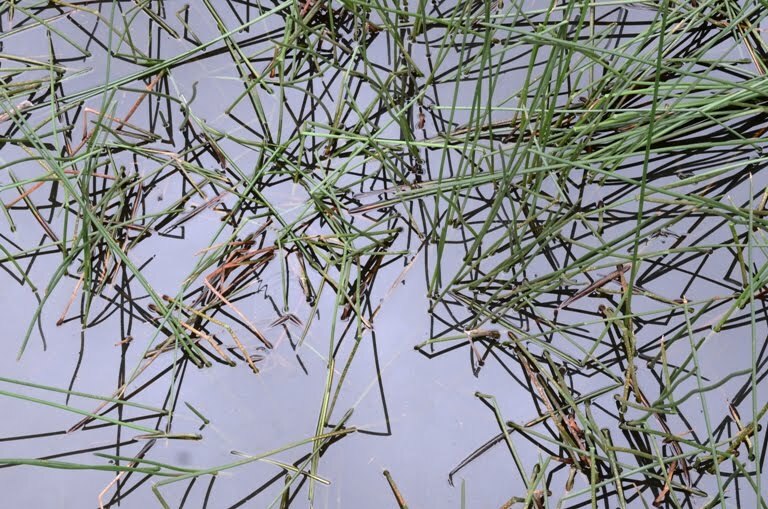 The inevitable succession to dry land is well underway, and sometime soon a decision is going to have to be made about the future. Classic farmyard ducks come to greet me on the boardwalk, and drift off disappointed at the lack of food. They upend to feed properly, curly tails and all. 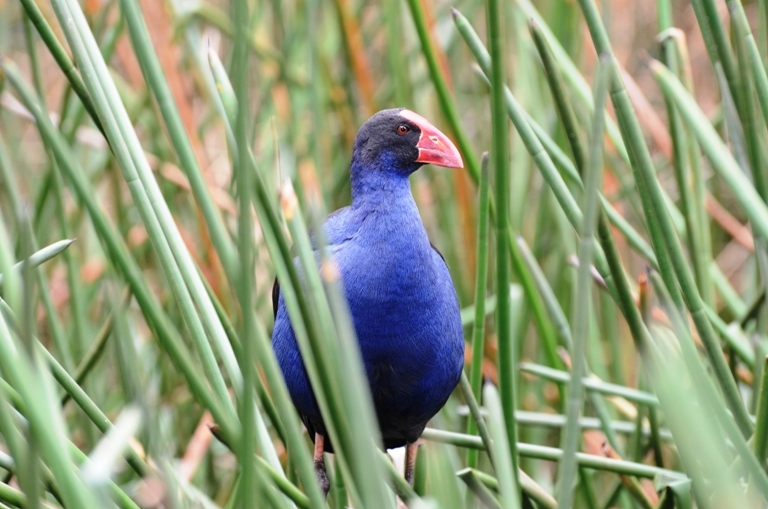 Purple Swamp Hens clatter through the reeds – ripping up the plants and eating the fleshy white bases of the stems. At times you can hear them feeding even when you can’t see them. I check my watch. It’s time to go. Miles away, at the other end of the world, Three Tarns will still be in darkness. I steal a few minutes more and lean on the wooden rails and wait. I wonder what made the reeds to my left rustle. And with that unanswered question still in mind I walk back to the car. Again, a very interesting well written post. Enjoyed the tour through your waters, becks and dives and tarns and all.... loved the descriptions and your great pictures. And loved learning the new words for lovely water! Thanks! Oh Steward..it is my Ms brain..once a name gets in there..I have a hard time..I am so sorry..LOL..
What a lovely story, a wonderful visual of prose, and beautiful photos to go with. 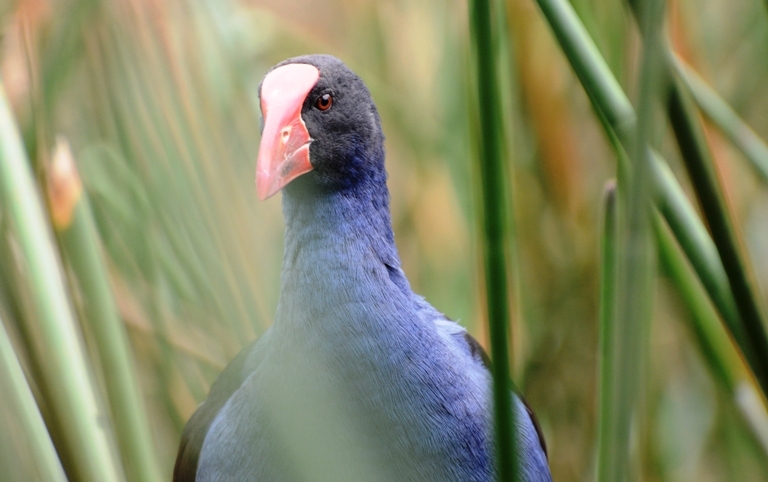 I didn't even know about Purple Swamp hens! Lovely post. Along with your burn, lake and tarn we here in Scotland have lades. Amamzing pictures. What a wonderful place for wildlife. In answer to your question on my Macro Monday post, the only purpose one and two pence pieces serve today is filling up people's penny jars. In fact it rare for me of actully have money on my person as everything is done by debit card these days. I still remember the half penny and the old pound note. Great post Stewart & also very interesting.